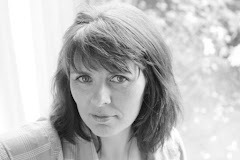 Assistant Musical Director - Ellen Fleming. Valentine’s night may have had less commercial appeal then, as four happily married couples were at that meeting - Phil & Dollé Cullivan, Mervyn & Peggy Johnston, Canon George & Olive Millar; Dermot & Phyllis McMonagle; also present were the newly elected committee members as well as Canon Dessie O’Dowd, Noel Monahan, Michael O’Beirne, Sally McKenna and Pearl Small. First rehearsal was held on Tuesday 1st March 1984 in Cavan Vocational School. First pieces rehearsed were The Tin Soldier, Over The Waves, Speed Your Journey and Going Home. Attendances at rehearsal grew from the beginning; many various people came and went, but a solid core group stuck with it – and the rest is history. 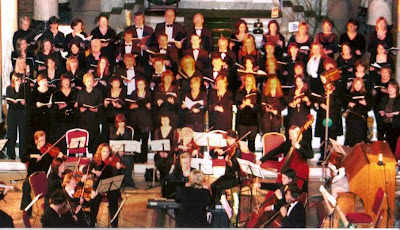 At a Cavan VEC- hosted concert, The Cavan Singers gave their first public performance in Cavan Town Hall on November 13th 1984, along with Virginia Choral Society, Kingscourt's St. Marys Brass & Reed Band and Comhaltas. In December 1984, the Cavan Singers performed and led the singing at the Christmas Carol and Readings Service in the Church of Ireland, Cavan, a tradition which has continued every December since. We will be busy in the next few weeks with the Lions Club 'Proms' in the Radisson Farnham Estate on Friday 13th and our participation in Cavan Summer Festival on 1st July. Choir members please keep these dates free and remember our next rehearsal for the Summer festival will take place in the Backyard Studios, Moynehall on June 8th from 2-4 p.m. In the meantime, please learn words of songs for Summer Proms ! Welcome to our Blog. 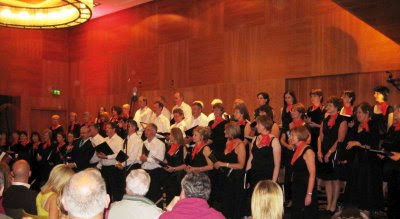 Cavan Singers rehearse every Tuesday night in Cavan Golf club. At present we are in preparation for our performance at the Cavan Lions Club Summer Proms at the Farnham Radisson in June, and our collaboration with the Hallelujah Gospel Choir and the Song Sisters during the Cavan Music Festival in July. 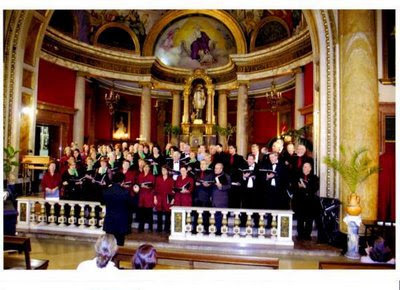 Here we are pictured in concert at Cavan Cathedral, conducted by our musical director Winnie Hughes.